How many postcards do I need to mail to start getting calls? It's a question we are asked all the time. We respond by asking a question back, "What size sales pipeline do you want to build?" Building a full sales pipeline will result in a steady stream of phone calls to your moving company. It all begins with obtaining qualified leads, determining the number of leads to contact and making a strong "ask" at just the right time. Below we discuss building a pipeline using the leads from MovingLeads.com, but you can use similar strategies for all your marketing resources, (internet leads, website, google, etc), and implement strategies to build a pipeline for each source. Where do they live? Are there certain neighborhoods that you tend to win business in? Can this area be defined by mile radius, zip code or county? What is your average move size? Do you tend to book three bedroom homes or six bedroom homes? You can refine your leads list by understanding the real estate market and average asking prices specific to your area. For some movers, the sweet spot is middle range homes (250-700K), so it doesn't make sense to include the high end list price homes. Others prefer multi-million dollar homes and don't set a maximum asking price. You can win more bookings by looking at your past jobs and figuring out who is most likely to hire you. The quantity of leads you contact should be based on your budget. There is no magic number of postcards that need to be mailed to make the phone ring. Any quantity will generate calls. With that said, we can give you a feel for response rate based on our customers' feedback. * Our customers' average a 1-3% call rate, with some up to 5% from postcards. The number of bookings depends on your staff and sales process. Some customers tell us they book 100% of the calls. Others report 1 in 3 bookings off the calls. 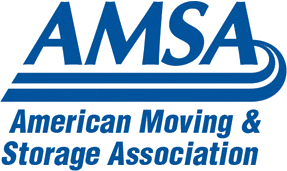 Additionally, customers report booking larger moves, averaging $3,0000-$5,000/move. And depending on the area of the country, your rates may be even higher. At a cost of $83 (100 postcards @.83each) per $3,000 job, we can report that postcards work for most moving companies! You've defined your lead criteria and the quantity leads you want. Now you need to to make sure you automatically receive new leads as homes pop up on the market. 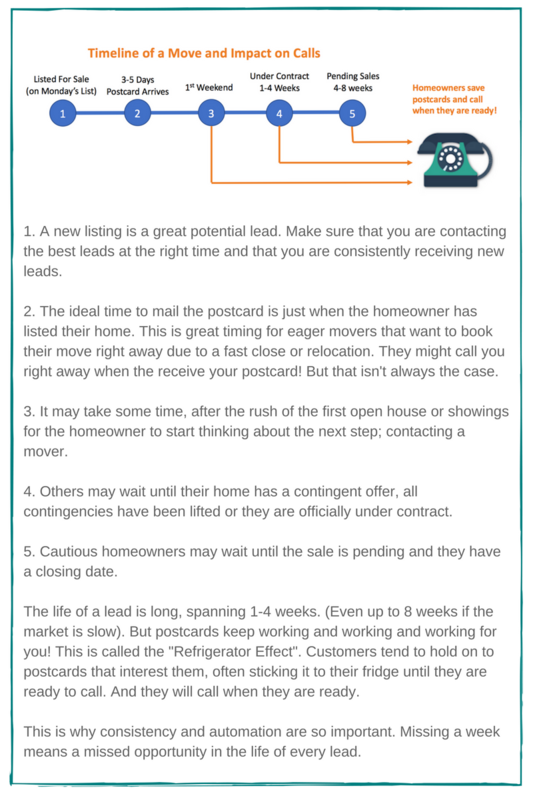 A steady flow of new listings and fresh leads will consistently replenish the top of your sales pipeline. 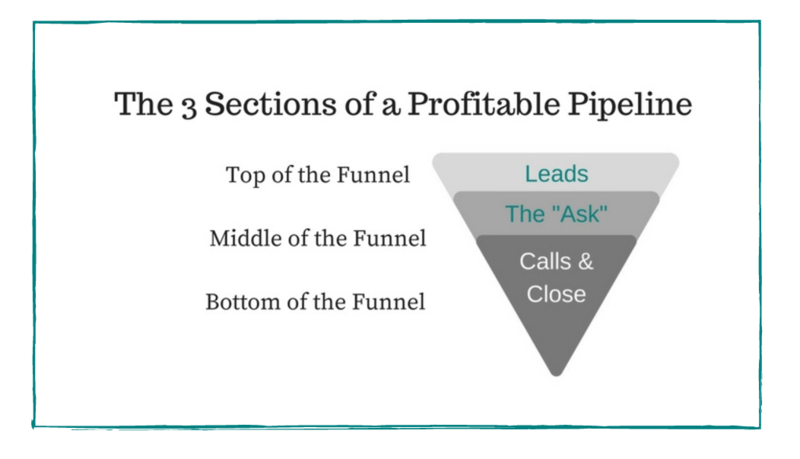 Middle of the Funnel - The "Ask"
You've got the lead, now you need to ask for the business. Don't let the hype fool you, postcards are more powerful than ever. Emails get buried and calls are invasive, but postcards are a friendly ask that provides homeowners with the important information they need to book a mover. A move is a large expense, so homeowners are more likely to research their choices. Your postcard is the start of that research. By sending it at the right time, they've got your website and contact information right in front of them. The life of the direct mail lead is very unique. The milestones of the home sale greatly impact the timing of the response/call from each lead. This timeframe can span 1-4 weeks or more. But don't worry, your postcards are working for you throughout that time line. Want to be freed from the work and time to send out your "Ask"? At MovingLeads.com we consider ourselves your virtual marketing team! We are experts at designing compelling postcards with all the information your leads need to contact you. Our on-demand printing process delivers high quality postcards that are mailed automatically every week, with first class postage for quick delivery. We deliver your postcards to homeowners within days of listing their homes for sale. You'll save time by having everything done automatically for you. All you need to do is answer the phone. After 6-8 weeks of consistent mailing, your phone will be ringing. Are you prepared to answer the phone and sell your services? The first phone call is your introduction to the customer. How your staff answers these initial calls can make or break your campaign. Here are our recommendations. The phone number on the postcard should be answered by dedicated staff who are aware of the postcard mailing. We recommend having a copy of your postcard by the phone so whoever answers can refer to it if needed. Your staff needs to be trained on answering the phone. "Hi, ABC Movers. How can I help you?" The initial call is critical and should be handled courteously and professionally. 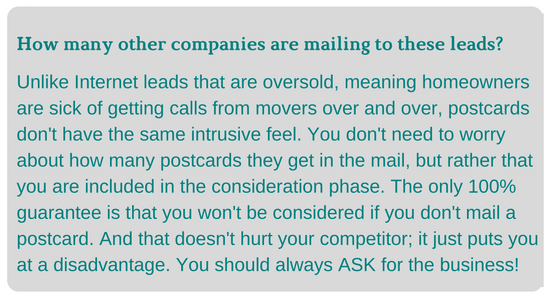 See our recent blog post about the importance of tracking, "Tracking Direct Mail Response Rates" for tips on tracking your incoming calls. Whoever answers the phone ideally can book the estimate. If not, make sure they have the tools to collect all the pertinent information so another staff member can call back quickly. Always Remember: The goal should be to have every phone call end with a booked appointment. We can keep your Pipeline FULL and your Phone RINGING! 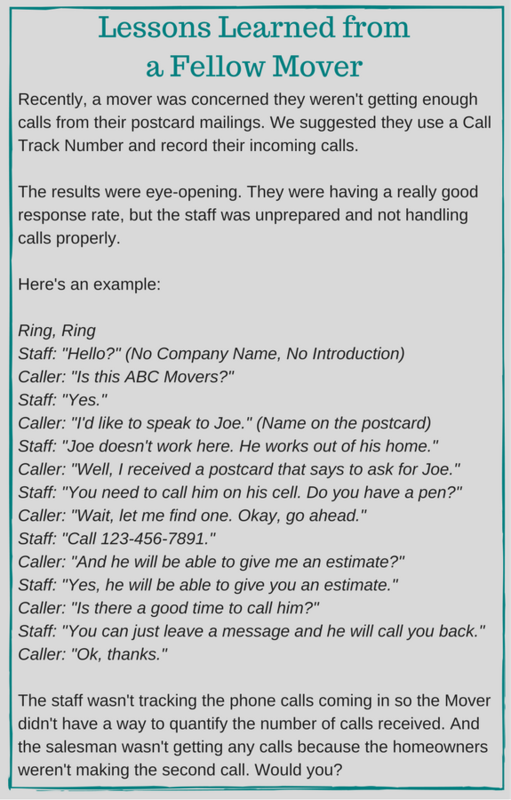 With our automated program, we can keep your phone ringing with leads from MovingLeads.com. We can make implementing a consistent direct mail program virtually effortless and help fill your sales pipeline. Find out more about our Automated Postcards here. It's easy to get started. 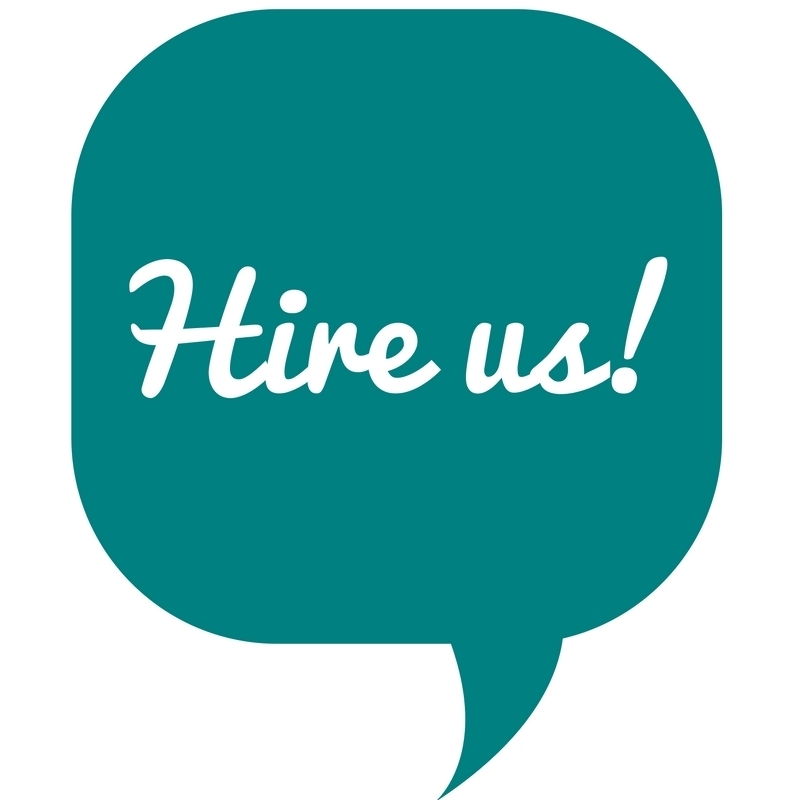 Call us at 303-443-0767.